Rita Lynn Young Gerlach, the daughter of Willard and Mary Ann (Borges) Aurich, was born in Dalton, Nebraska on November 1, 1953 and passed away in Grand Island, Nebraska on April 10, 2017, at the age of 63. Rita grew up in Dalton, Nebraska along with and her two sisters. After graduating from high school, Rita worked as an aide at a rest home in Sidney. Rita lived in Ogallala where she worked at Daylight Donuts and McGinley/Lane Law Offices as a secretary. When the family moved to DeWitt, Rita cleaned houses with a friend. Rita was united in marriage to Bill Gerlach in June of 2005. He passed away on March 12, 2012. In Aurora, Rita worked as a hospice aide and a cashier at Aurora Mall until she retired. Rita was a member of the Methodist Church in DeWitt. She was preceded in death by her parents; husband, Bill Gerlach and step-son, Danny Gerlach. 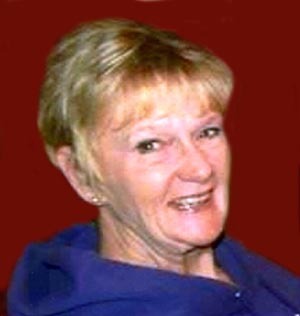 Those left to cherish her memory are her four children, Michael (Megan) Young of Aurora, Tyler (Josie) Young of Grand Island, daughter, Marklynn (Dan) McGinnis of Ogallala and Tregg (Erin) Young of Denver, Colorado; 12 grandchildren; two sisters, Marlene (Bob) Kepler of Scottsbluff and Peggy (Jerry) Tjaden of Norfolk and many other relatives and friends. Share your sympathies and/or favorite memories Messages will be given to the family.